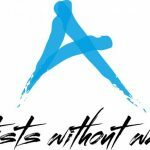 Join Artists Without Walls for its April Showcase at The Cell Theatre on April 24, 7:30pm. The evening will feature, dance, music storytelling and a scene from a play. Hosted by Niamh J. Hyland and Charles R. Hale.